All PLUMOSA PARK SEC A, B AND homes currently listed for sale in Delray Beach as of 04/21/2019 are shown below. You can change the search criteria at any time by pressing the 'Change Search' button below. 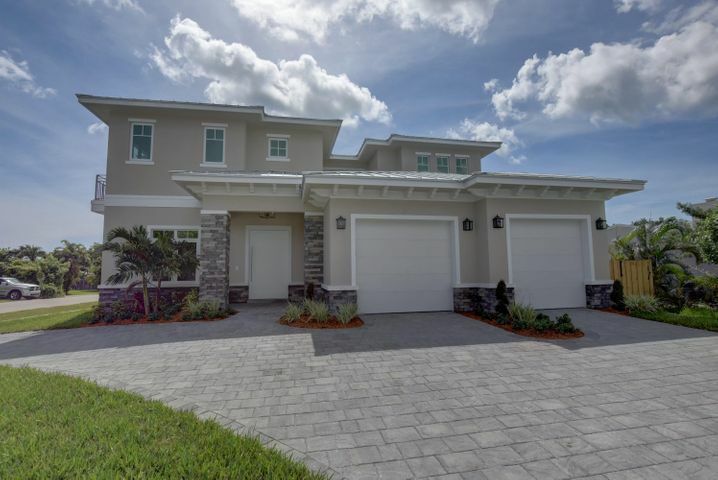 "Revel in the South Florida lifestyle in this one of a kind 5 bedroom, 5.5 bathroom home. Enjoy the seamless transition from indoors to outside in your own slice of paradise. This brand new home offers an expansive pool and sun deck as well as an outdoor living room, dining room, and summer kitchen. The stately gourmet kitchen has a large center island with open view of the sunlit dining area, family room, and covered lanai. Enjoy two master bedroom suites, ensuite bathrooms, 10 ft. ceilings with ceiling treatments in each room, high end gas appliances, impact glass, two laundry rooms, custom walk in closets, and designer lighting. Enjoy the fun of Downtown Delray, the beach, and intracoastal while maintaining your peace and privacy in this enclave." 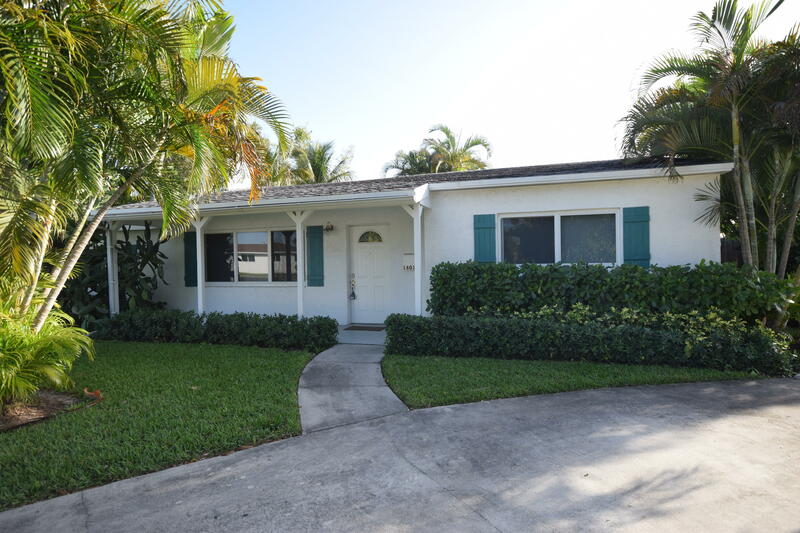 "Three bedroom two bath pool home with guest cottage in the heart of East Delray! Situated on a large corner lot, this home has great curb appeal with its lush landscaping and front porch. There are two driveways with room for boat parking. The main house is a fully updated 3/2 with split bedroom layout, fireplace, and sunny Florida room, and impact windows. The guest cottage has a full bath and kitchenette and would be perfect for guests or even a vacation rental. Very private fully fenced and tree lined back yard. There is a spacious screened patio with large closet for outdoor storage, as well as a paved patio and a deck off of one of the bedrooms. Brand new sod and irrigation. Just a quick bike ride away from the beach and Atlantic Ave."
"Completely renovated 3 bedroom 2 bath pool home in east Delray! The home is full of Florida charm and features an open split bedroom layout with large sunny Florida room, fireplace, cabana bath, and backyard tiki bar. 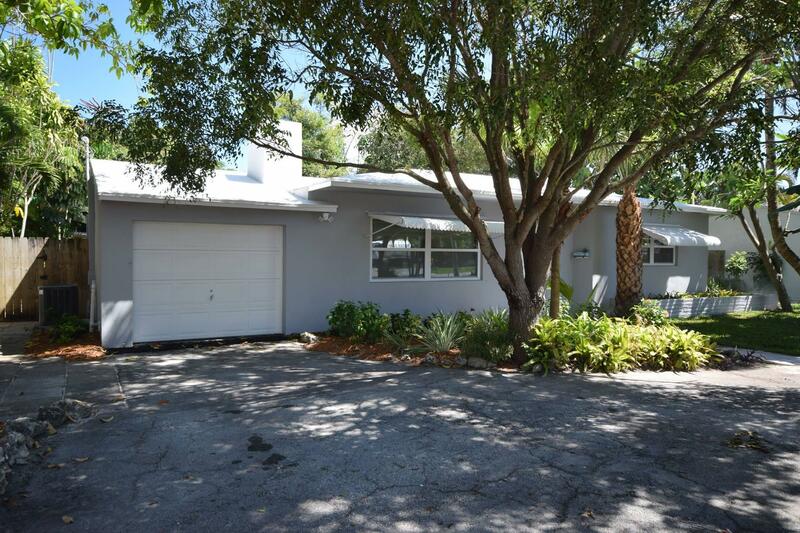 Situated on a large lushly landscaped lot close to downtown Delray, the beach, and I95 in a desirable non-HOA neighborhood." "Motivated seller! Bring offers!Beautifully remodeled 4 bedroom 3 bath home with IMPACT WINDOWS. 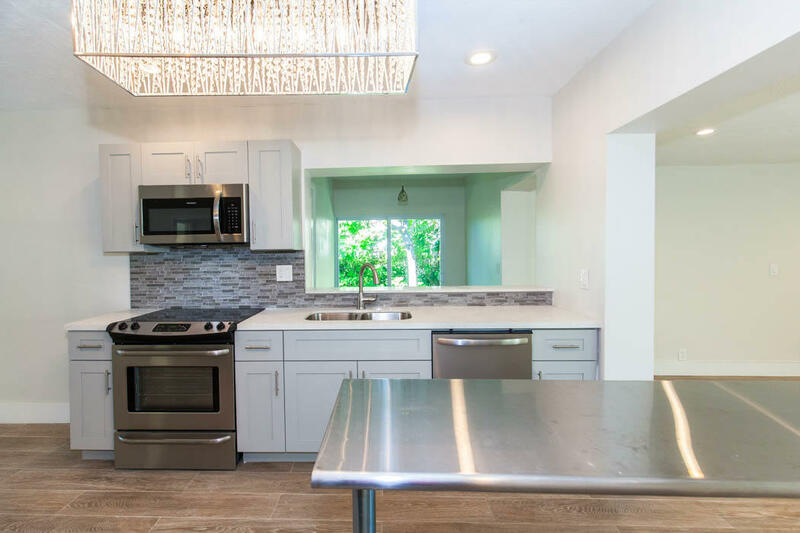 New upscale kitchen features grey shaker cabinets and stainless steel appliances. New tile flooring throughout. Situated on over-sized, fenced corner lot adorned with assorted fruit and other trees.Please see attached doc with full list of improvements."